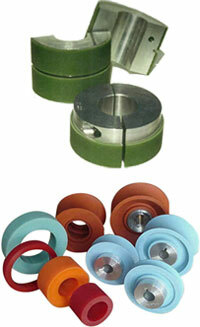 At Centredale & Dura-Fab, our mission is to deliver the highest quality industrial rollers and related products. Our commitment to on time delivery, competitive pricing, along with expert service and support, has earned us a strong reputation throughout New England, as well New York, New Jersey and the entire Eastern Seaboard. Centredale has been in business for over three decades in Warwick, Rhode Island. From the beginning we have provided quality products and creative, low-cost alternatives to industrial roll refurbishing and replacement. Buna-N, SBR, and other compounds. We pride ourselves on quality of our workmanship, dedicated work ethics, and a commitment to long-established standards of excellence.